Aquamet offers propulsion solutions for all types of water craft. Whether you own a shipping company with a fleet of large vessels or a single weekend pleasure boat, the company has parts to get your vessel back on the water and operating as it should. The company offers both mass produced shafting and related parts, and custom CNC machined parts, depending on the specific needs of your water craft. Deep Blue Yacht Supply's machine shop is able to meet all of your stainless steel shafting needs. 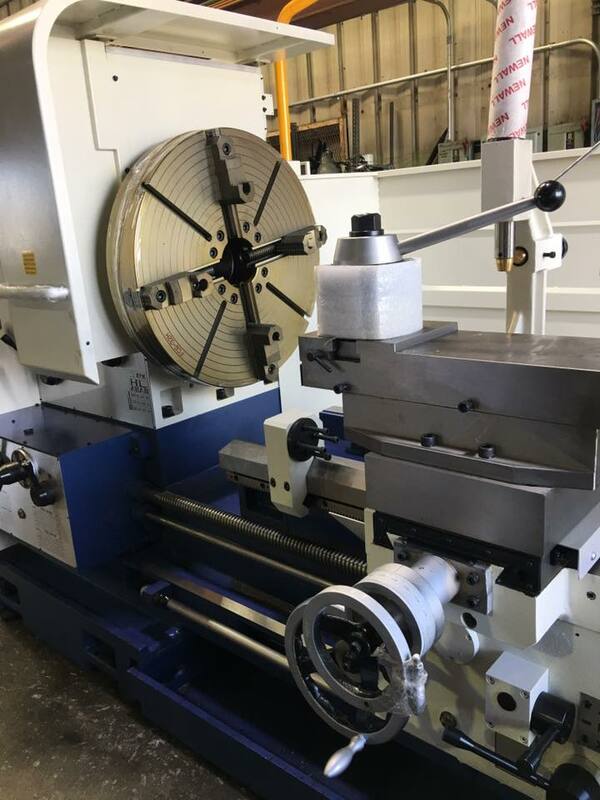 Through our lathe shop, we can machine up to 9" diameter inboard propeller shafts. Aquamet has established itself as a leader in boat shafting. This had been achieved by producing quality parts, at reasonable prices, and by fitting water craft of all sizes with the right shafting requirements. A feature that sets Aquamet apart is that boat shafting is manufactured with stainless steel and strong alloys, which are designed to last. Boats that remain sitting in the water for long periods of time can experience problems with propellers and shafts, due to lack of use. Aquamet parts are designed with withstand long periods of not being used, while the boats remain docked. This means they are reliable for both light and heavy watercraft users. Aquamet offers custom and ready made propeller shafting, propellers, rudders, shaft coupling, and struts, as well as other marine vessel parts and marine hardware. The company offers propeller shafting in a range of sizes, which are mass produced. It also offers custom production for hard to fit vessels. In addition to the marine shafting and parts offered, Aquamet can provide CNC machining, shaft reconditioning, shaft straightening, strut and rudder reconditioning and straightening, stern drive and outboard shaft repairs, relining of marine bearings, welding, and plasma cutting. If your vessel is in need of a major repair related to propeller shafting or strut and rudder issues, Aquamet is the company with the knowledge and experience to handle the problem and fit it properly the first time. Aquamet offers quality parts such as couplings and marine hardware, from a variety of well known manufacturers. Aquamet also offers propeller, strut, and hydraulic pullers for busy boat yards that need to reliable provide service to vessel owners in the shortest amount of time possible. Deep Blue Yacht Supply's machine shop is able to meet all of your stainless steel shafting needs.